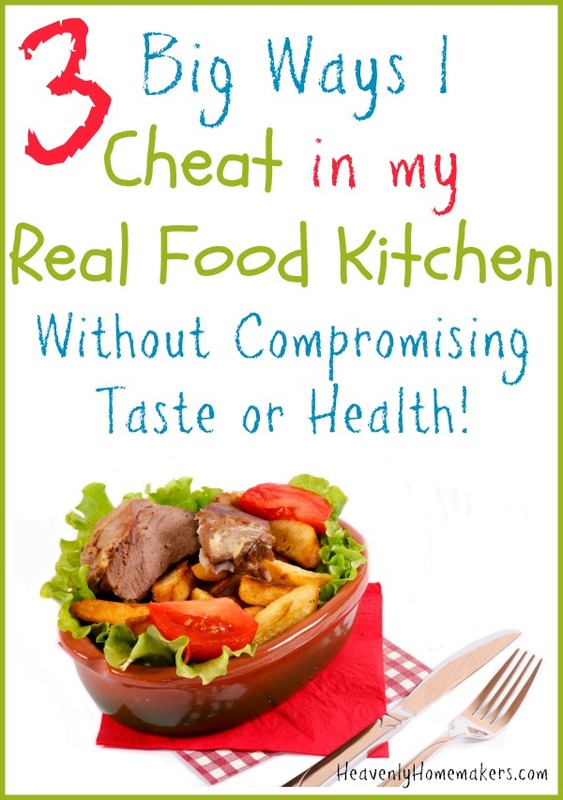 Want to hear the 3 biggest ways I cheat in my real food kitchen without compromising what actually matters? Come closer, my friends. Learn a little bit more about my crazy (or perhaps brilliant?) ways and methods. 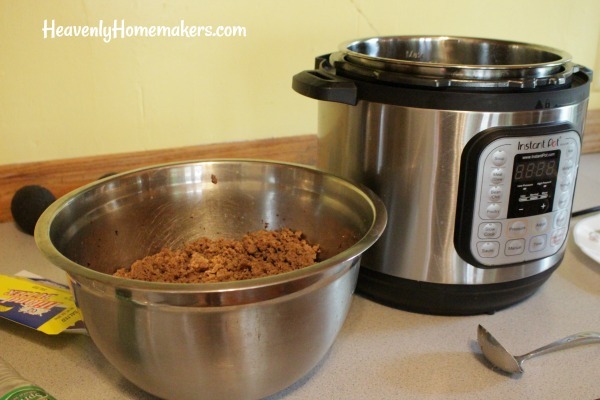 Malachi (our 13-year old) had a friend over this summer who watched incredulously as I opened 7 pounds of frozen hamburger meat and put it into my Instant Pot. Just another day at the Coppinger house in which I affirm that Mama Copp is a little bit nuts. 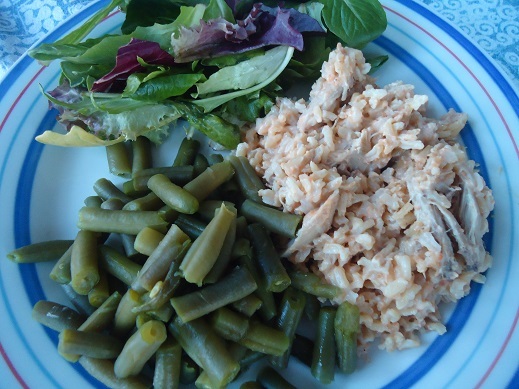 That is just one of the ways I get ahead in the kitchen in order to make our real food life so much simpler. If you ask me, when trying to keep up with a busy family without having stress over those 3 meals a day everyone must eat, keeping it simple is THE ONLY WAY. 1. Cook meat ahead of time (so you can throw together meals quickly). I obviously just shared this above, but the same goes with chicken and other favorite meats that are easily stirred into casseroles or soups. Cook meat in large batches, then freeze or refrigerate in meal-sized portions. Meal prep goes so much faster and simpler this way! 2. Serve easy fresh fruit and veggie sides. I cannot emphasize this enough (though if you’ve been reading my blog for a long time, you know that I do say it over and over!). It is ridiculously easy to wash strawberries and serve them with your pizza. It takes no effort to steam green beans, peas, or broccoli to go with your casserole. Make your simple main dish, then slice a few peaches and set out a salad. IT IS SO EASY. 3. Buy mixed greens so you don’t have to make salads. 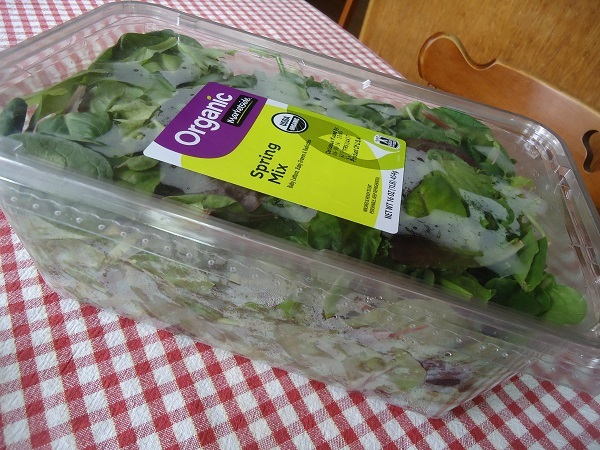 Please allow me to remind you of the magic of a container of mixed greens. This fabulous container takes all the work out of making salads. Plus it provides excellent nourishment and did I mention that THERE IS NO WORK INVOLVED? No washing, no prepping, no work. Just set it on the table and have at it. Add baby carrots and grape tomatoes if you want more in your salad than just greens. And there you have it. My three favorite cheat methods for putting great meals on the table without going to extra trouble or compromising on nourishment! I used to do the pre washed lettuce. Completely agree with your reasoning. Then mom got me a salad spinner to which I said I would NEVER use BUT I BOUGHT 1.00 green leaf lettuce and washed it and spinners it and put it in my Rubbermaid keeper. So much more lettuce and cheaper! Sold on spinner!